When HUST held its Crystal Palace FA Cup Giant Killing Squad reunion event back in March 2018, one of the squad members notable by his absence was Lenny Johnrose. We discovered not long after the event the reason why, when Lenny went public in a deeply moving and honest interview that he had been diagnosed with motor neurone disease (MND). Despite the players from the squad now living across the length and breadth of the country they remain good friends and they approached Andy Wilson and HUST to ask us to help them to organise another get together for the squad to allow them to show their support to one of their team mates as he faces his challenge. 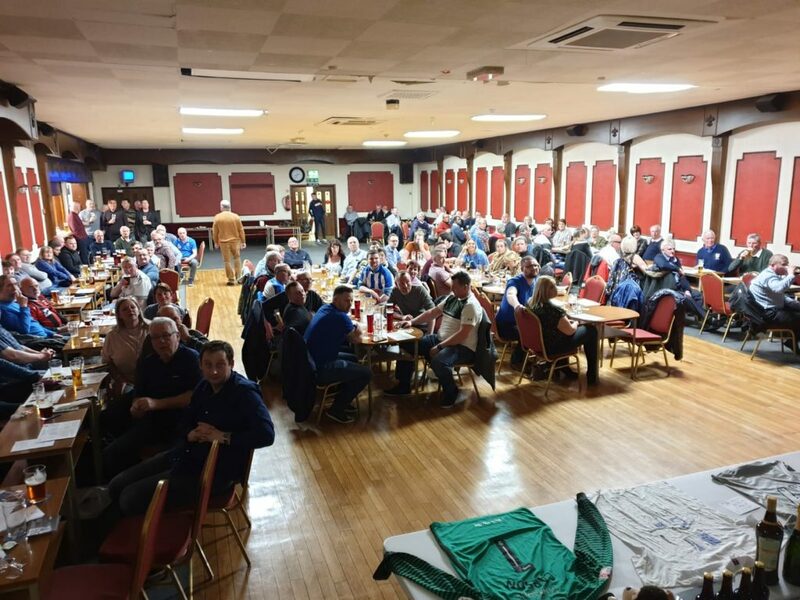 As a result, the fundraising day held on the 9th March 2019 was arranged, with the proceeds of the event to be split between the Len Johnrose Trust and the MND Association, to support Pools legend Lenny directly, and to contribute to raising awareness of, and research into, MND. Lenny Johnrose Fundraiser for Motor Neurone Disease. First up was a Legends vs. Fans 8-a-side match which despite an awful weather forecast, took place in beautiful sunshine on the 4G pitch at Brierton Sports Centre. 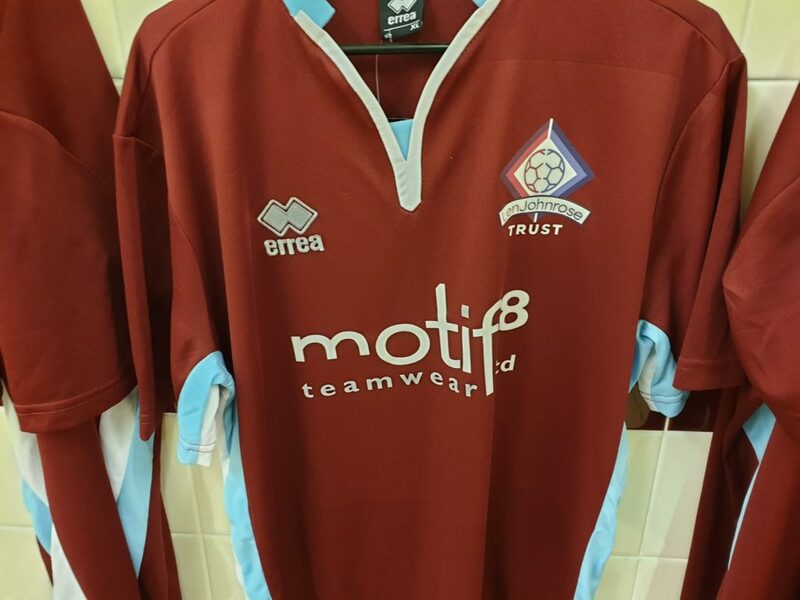 The Legends team, watched by former manager Alan Murray were very kindly kitted out in bespoke match kit donated by local company Motif8. 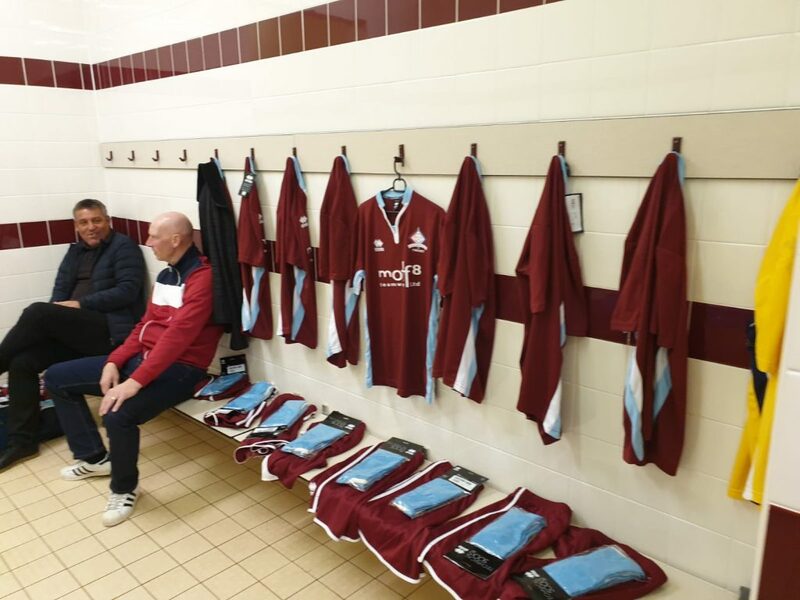 Looking resplendent in claret and blue were Steve Jones, Tony Skedd, John MacPhail, Ryan Cross, Paul Olsson, Keith Nobbs, Nicky Peverell and Ian McGuckin. The fans looked to be up against it and strapped on the shin pads! and FA Cup Giant Killing penalty taker Andy Saville. The game was played in great spirit, in front of an appreciative crowd, and was competitive with chances at each end of the pitch. The Fans took a 2-0 lead into half time, and despite second half goals from Skedd and Perverell the Fans team ran out 4-2 winners at the final whistle. Thank you to all those who paid to play; Dan Gray, Andrew Bryson, Keith Cane, Kevin Dixon, Michael Nicholson, Matthew Smith, Kenny Watson, Michael Weir and Ronnie Chambers. 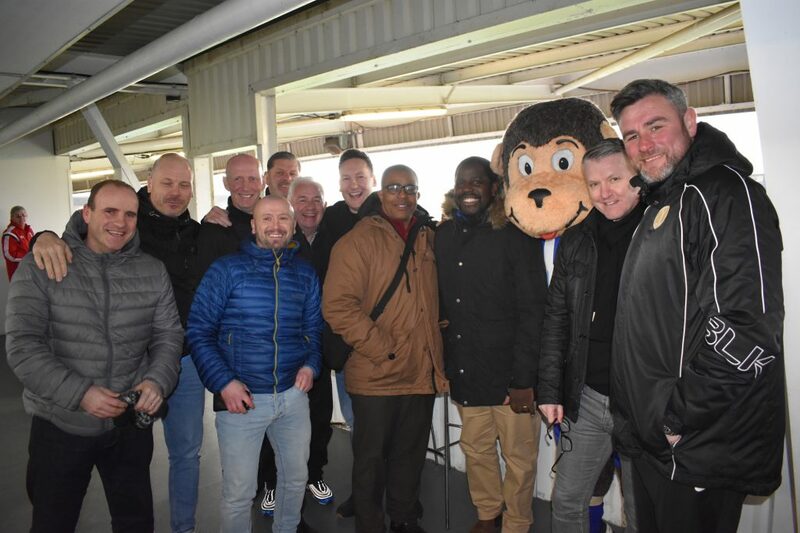 After a quick turnaround it was onto the ‘Super 6 Stadium’ for the lads to meet up with Lenny and to enjoy some time as guests of Hartlepool United. For the second time in a week the current boys in blue and white pulled round from 0-2 down, going one better than they did at Sutton to sneak a last-minute winner thanks to some well taken penalties by Josh Hawkes, and a peach of a shot into the bottom corner from on-loan Sunderland star Luke Molyneux. It certainly would appear that the squad of 2019 has inherited some of the team spirit and camaraderie of the squad of 93! All smiles before kick off as the lads meet H’Angus. 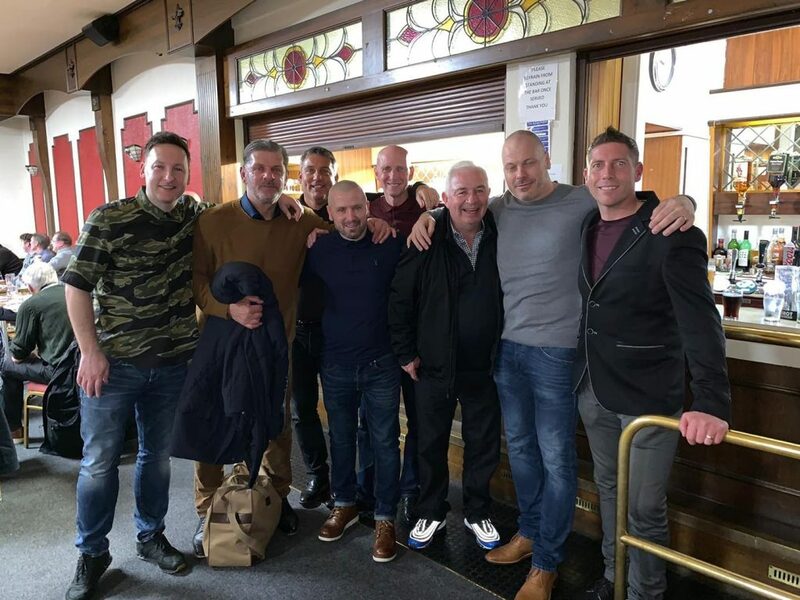 L-R: Lenny’s former Bury and Burnley team mate Dean West, Ryan Cross, Andy Saville, Tony Skedd, John MacPhail, Alan Murray, Steve Jones, Lenny’s brother Steve Johnrose, Lenny Johnrose, H’Angus, Nicky Peverell, Ian McGuckin. H’Angus and Lenny watching the match. The main event was a Race Night held at the Catholic Club and attended by around 100 race-goers. Featuring eight races with each race and horse name sponsored and a well-stocked raffle, plus a sale of the eight strips from the legends match earlier in the day the grand total raised from the day hit £2053. Guests were also entertained by comedian Lea Roberts. During the night Lenny’s former Pools manager Alan Murray welcomed the players onto the stage and spoke warmly of his time with the players at Pools. Once again the camaraderie and spirt this group of players still has shone through like a beacon, despite the passage of time and the fact they were actually only together as a squad for a short time. Likewise the mutual respect between players and former managers. The evening was a great success, not just in terms of raising money for a worthy cause, but for re-uniting fans with some of their heroes from nearly 30 years ago. Needless to say, long after the bell had sounded for last orders the bulk of those in attendance were still in the room, soaking up the atmosphere of a memorable occasion. Not only was this one of the best squads the club has ever assembled, it also contained a lot of really great human beings rallying around one of their own. The lads all enjoy the evening (even Dover Athletic Coach Nicky Southall). 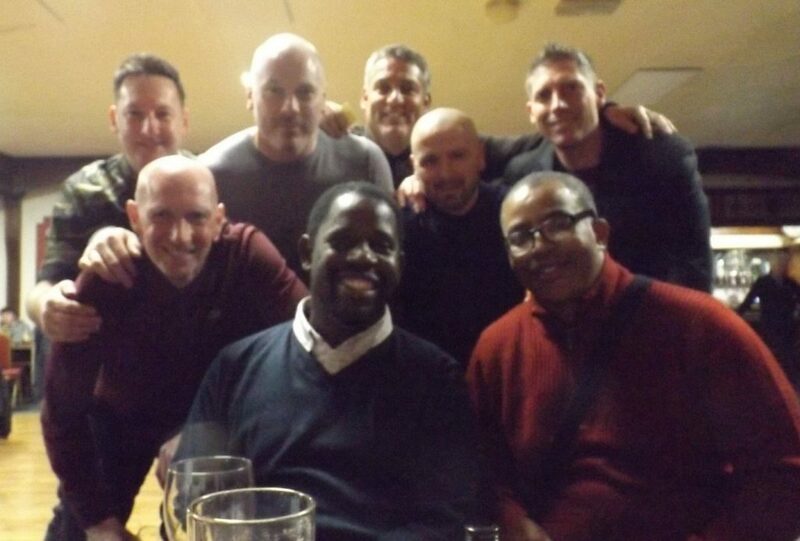 L-R: Steve Jones, Andy Saville, Ryan Cross, Lenny Johnrose, Paul Olsson, Tony Skedd, Steve Johnrose, Nicky Southall. The funds raised are to be split with £1553 towards the Len Johnrose Trust and £500 towards the Motor Neurone Disease Association. 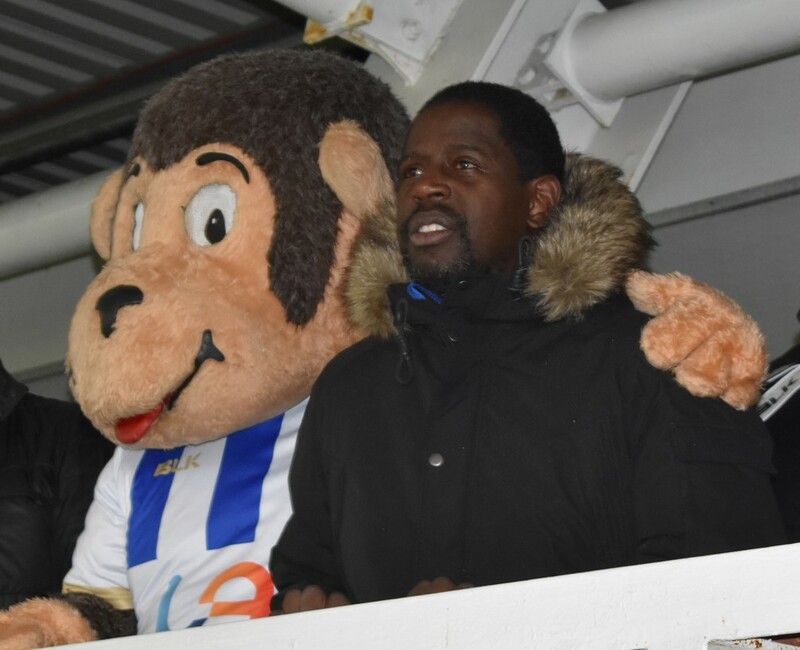 Thank you to all the Pools legends, Andy Wilson and Ron Harnish for organising the day’s events, to the HUST Board for their input and support, and a massive thank you and well done to absolutely everyone who contributed towards making the day a success and for demonstrating the amazing support of the fans of HUFC for Lenny Johnrose, a well loved player who contributed to the history of our club.